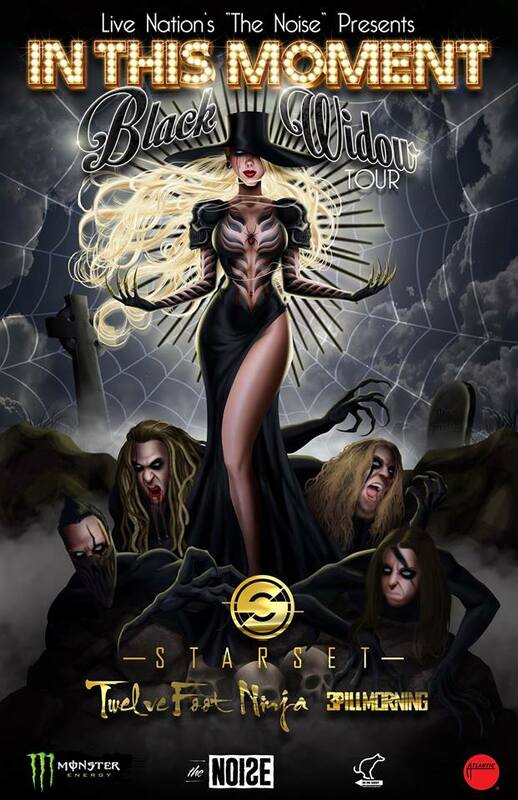 The rock band, In This Moment, have announced that they’ll be headlining the “Black Widow Tour” in the United States, to support their upcoming album, Black Widow. Joining as support will be Starset, Twelve Foot Ninja and 3 Pill Morning. You can check out the dates, details and poster, after the break.